Description: This is a Sudoku editor/solver for the HP Prime. The GUI is a bit rough, but serviceable. 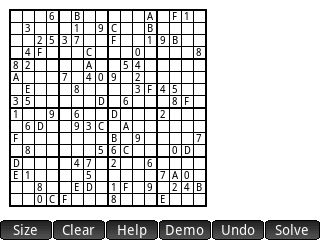 Allows you to select the grid size (4x4, 9x9, or 16x16), clear the grid, and solve the problem, showing trivial hints. Includes some demo problems.